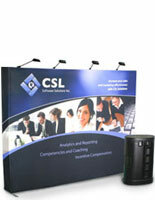 These portable booth displays cannot be ignored when used during a crowded event. The portable exhibit sits at the back of a booth as a backdrop to a presentation. 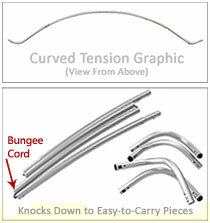 The tradeshow display, also known as banner stands, has everything needed for setup. 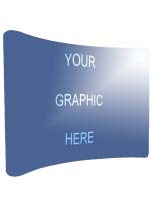 The framing is made from aluminum tubes, that piece together using a snap button design. 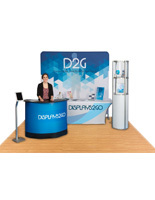 The portable booth display has a symmetrical rectangular shape, eliminating confusion when it comes to arranging a fixture. 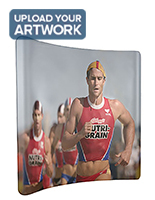 This portable popup exhibit is equipped with custom-printed graphics on stretch fabric. 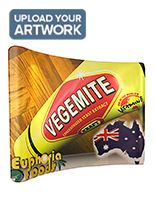 The stretchy banner will fit the provided framework snuggly, pulling your artwork taut to eliminate wrinkles. These portable booth displays use an industrial zipper to keep the customized graphics in place and looking great throughout a presentation. 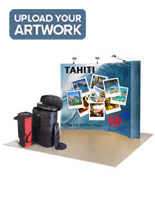 Successful exhibit booths typically have some form of eye-catching accessories to draw attention and to effectively promote a product or service. 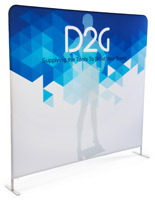 These banner stands feature a curved design to add a unique element of style, without sacrificing floor space. 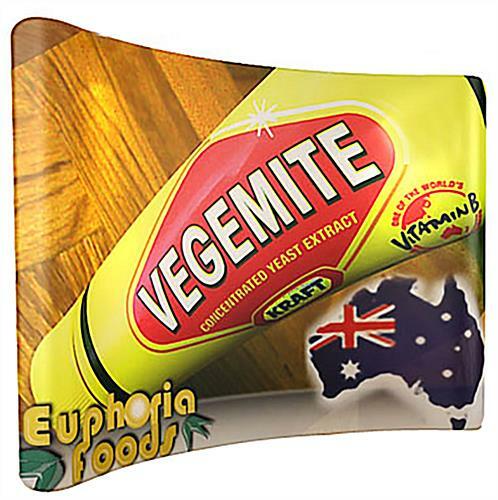 The portable booth displays go through a dye sublimation printing process to achieve colorful designs created entirely from a user's submission. For traveling purposes, the framework easily breaks down into more manageable pieces. To simplify setup, each part is attached to another with an internal bungee cord. These portable booth displays are provided with a carrying case to keep all of the components organized during travel. 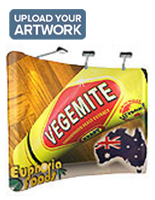 The tension banner stands are therefore perfect for use during a tradeshow or exhibition. 119.2" x 88.7" x 18.4"
17.0" x 32.0" x 14.0"
This looks awesome and sets up really fast. 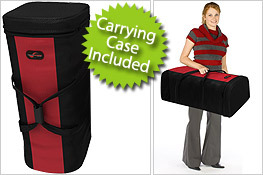 It is very light weight and manageable by one person. It took me about 5 minutes to setup. Instructions were idiot proof. I was impressed that a sheet of plastic and white gloves were included. The customer service to make sure I received it on time was the best.